The world’s second largest timeshare exchange company just added another vacation club to its list of affiliated resorts. Terra Mar & Privilege, a new luxury vacation ownership brand based in Brazil, has reached an agreement with Interval to incorporate its premier resort, the Pousada Terra & Mar hotel, into its exchange catalogue. Located in the Brazilian state of Bahia, on the scenic Marau Peninsula, Pousada Terra & Mar provides a luxury beachside resort in the quiet fishing village of Barra Grande. The resort offers quaint, private accommodations on resort grounds that feature a swimming pool, restaurant, game room, WiFi, and unparalleled access to the beautiful beaches not far away. 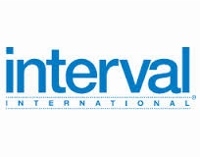 Owners at the resort will immediately become members of Interval International, and can exchange their timeshare units for accommodations at Interval affiliated resorts around the world. For more information about Interval International or their new affiliation with Terra Mar & Privilege, visit their official website.